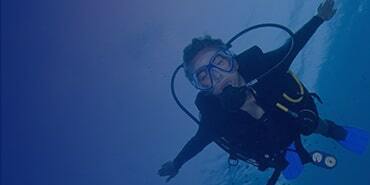 The Sony RX100 VI is the top of the line compact camera available for underwater photography to date. 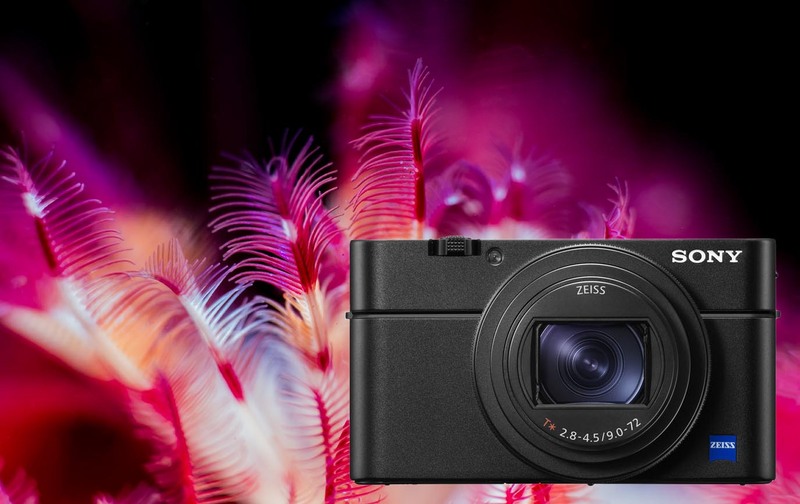 It’s the newest release in Sony’s famed RX100 line – this time featuring enhanced zoom capable of produce stunning images of the smallest of the ocean’s creatures! Although slightly more limited than the Sony RX100 V for choice of shooting macro or wide angle underwater in a given dive, the new 24-200mm f/2.8-4.5 lens lets macro lovers reach new frontiers in super macro photography. Along with the fantastic image quality, burst shooting speed, and other impressive specs of the RX100 V, the RX100 VI brings with it a few key upgrades: a telephoto lens, improved autofocus, improved video capabilities, and a touch screen. The Bottom Line: Choose the Sony RX100 VI if macro photography is your staple and you don’t mind switching ports to accommodate for your wide-angle options. The super-macro capability of the Sony RX100 VI is unparalleled in the compact camera world. If you’d like to have wide-angle and macro options throughout the dive, the Sony RX100 V is still a great choice. The key upgrade of the Sony RX100 VI is the new 24-200 mm f/2.8 – 4.5 lens. This has been upgraded from a 24-70mm f/1.8-2.8 lens on the previous RX100 V. The zoom and optical quality of this new lens has the capability of producing stunning, detailed macro and super-macro images – especially when paired with a wet lens. However, it comes with its challenges. When zoomed out, the lens extends relatively far – requiring a long port. A long port makes it impossible to add desirable wide-angle accessories such as wide-angle wet lenses. This being said, some housing manufacturers are coming out with multiple port options that can accommodate for both wide-angle and macro shooting by switching ports between dives. Autofocus speeds have increased to 0.03 second autofocus from 0.05 sec. The RX100 VI also comes with 315-point phase-detection AF points. These autofocus improvements are a huge help to anyone looking to take the RX100 VI to the full extent of its super-macro capability. Good autofocus is imperative for capturing super-macro images where even the slightest movement can drastically change the composition of the shot. The Sony RX 100 VI is also proving to be a supermacro powerhouse in the video world. Consistent with Sony’s commitment to improving its video capability in multiple camera lines, the RX100 VI has been upgraded to be able to shoot 4K movies with full pixel readout and no pixel binning. It can also shoot 4K HDR. This video capability is a milestone for video in compact camera set ups as it is ideal for shooting macro and super-macro video. Keep in mind shooting 4K will require an SDXC card. The Sony RX100 VI’s burst shooting can capture 24 frames per second with continuous autofocus and a buffer of about 100 shots. This capability places the RX100 VI among the fastest compact cameras on the market. Therefore, the RX100 VI is also an ideal camera for quick-action underwater photographers – specifically those shooting waves or quick pelagic animals. Photo of a sculpin highlighting the RX100VI's mid-range/portrait capability. Sony RX100 VI, dual Sea & Sea YS-D1 strobes. 1/125, F/11, ISO-200. As mentioned, due to the extension of the lens when fully zoomed, different ports are necessary when shooting with macro or wide angle wet lenses and the RX100 VI. 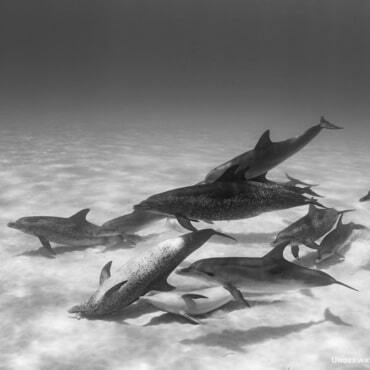 This means that the type of wet lens used will need be chosen prior to diving and limits the diver to shooting either macro or wide-angle during a dive – not both. Macro wet lenses allow you to get even closer and more detailed photos than the already capable 200 mm zoom on the RX100 VI. A strong diopter such as the Nauticam Super Macro Converter or the Kraken KRL-03 +12 can be a great way to open up the realm of super macro photography. Going for something with a little less magnification such as the Bluewater +7 is an easier option for beginner macro photographers. Nauticam Compact Macro Converters (CMC-1 & CMC-2) - Both Nauticam CMC lenses offer amazing sharpness, with varying strengths of magnification. 4.5 & 2.8 average magnification respectively, it's great to have both within your quiver of lenses for maximum versatility while diving and shooting macro. Nauticam CMC-2 or Nauticam CMC-1. These are the highest quality macro lenses for taking supermacro images with the RX100 VI. Read our complete guide to Wet Macro Lenses on our Buyer's Guide. 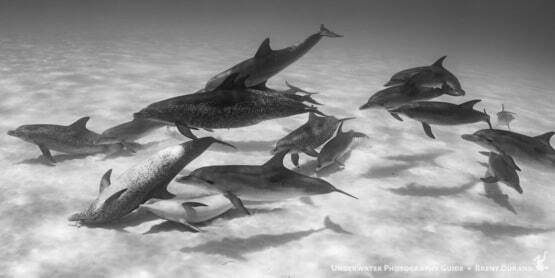 Without a wide angle wet lens, compact cameras tend to struggle in the area of wide angle underwater photography. A wide angle wet lens allows the photographer to take photos with a wider field of view and get closer for more color and detail in the image. Read our complete guide to Wet Wide Angle Lenses on our Buyer's Guide. 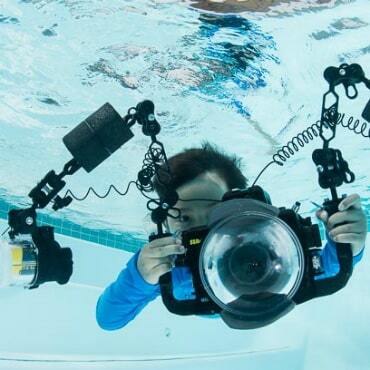 There are six great underwater housing options to choose from for the Sony RX100 VI. There are two things important to note with the Sony RX100 VI. 1. 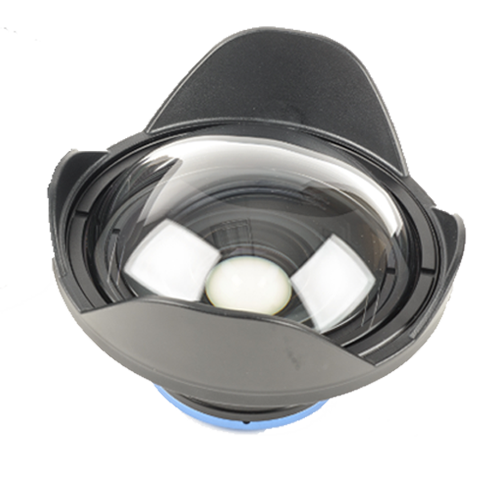 It is not compatiable with any other RX100 type housings. 2. Due to the extreme zoom capability, it is necessary to have a seperate port for macro and wide angle photos if you want to use the full extent of the zoom capability. This means you can only take one type of photos during a dive. Each of the housings above will offer control of all primary camera functions and provide a secure enclosure for use underwater. 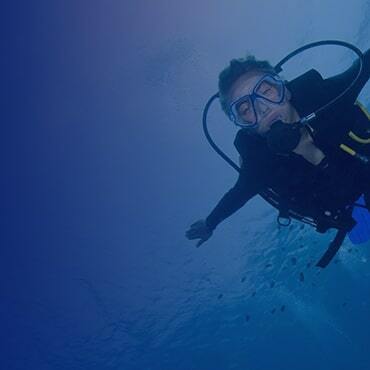 Some housings are higher quality, and offer a variety of added accessories, while others stick to the basics and allow users to enjoy a no frills, straightforward diving experience. 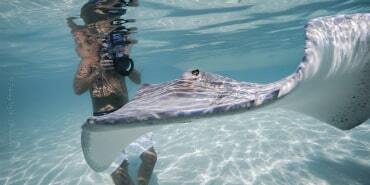 Choose Fantasea, Recsea CW or Ikelite if your focus is on the dive and photos are just for fun. In addition either of these options are great for those on a budget. If you really like to tinker with your photos or settings, a higher end aluminum housing, such as Nauticam or Recsea Aluminum is recommended. All housings feature fiber optic ports for attaching strobes, and the ability to add a tray with handles for a more professional feel. The Nauticam housing goes one step further with a unique port system allowing you to swap the front port for a more dedicated shooting set up. The most important menu setting is to make sure the AF Illuminator is turned off, otherwise your camera will have trouble focusing once inside the underwater housing. Turn on Auto Review if you want to view each photo immediately after capturing it. The suggested time is 2 seconds. Memory Recall Function: Due to the RX100 VI's amazing zoom capability, when in a housing in a standard port, the lens can actually hit the port glass when zoomed in all the way. Using the memory recall function you can set the camera so that it "remembers" specific zoom levels and does not hit the port. This will allow you to easily switch between wide angle and macro on a standard port. In order to use memory recall, put your camera in manual mode. Then zoom in with the camera in the housing, so that the lens does not hit the port glass, but enough to take a macro photo. Go into the menu and go to panel 9 under the camera icon. Click memory and then click a number (at the top of the memory panel) to save your settings. When you need to access your setting in memory recall, switch the dial at the top to MR and your settings will show up. You can set individual settings for shooting wide angle, macro, and mid-range photos as you can save three different memory recall settings. Remember that apterture controls your depth of field, choosing a larger number aperture will mean more of the image will be in focus. For starting settings on the RX100 VI we recommend at least F8. In addition we always recommend using a focus light when shooting macro in order to help your camera lock focus more quickly and accurately. Make sure you are zoomed out all the way for best focusing and image quality. If using a strobe, Auto White Balance delivers accurate color balance - just remember to set the internal flash to forced flash mode and your strobe to TTL (or manual if you're comfortable with more adjustments). Remember that shooting at an aperture of F8 will allow for much of the subject to be in focus. You can also experiment with opening the aperture down to F2.8 for a shallow depth of field. Remember that shutter speed controls the amount of ambient light in the photograph. The faster the shutter speed, the less light in the background. This is important primarily when shooting wide angle with a strobe. Zoom the camera all the way out and get closer to your subject for best lighting. Shooting with a wet wide lens* allows you to get a wider field of view while being very close to your subject and is recommended for the best wide angle shots. *Some wet wide lenses may vignette on the RX100 VI (dark corners), if this is the case zoom in as little as possible until the vignetting is gone. Use strobe power to control the light on your subject, adjust shutter speed to control the light in the background. Adjust your aperture and shutter speed from the settings above to properly expose the foreground (ie: let in more light). Shoot with the sun behind you for better colors and less shadows. For shooting creatie wide-angle such as a sunburst or silhouette, stop down the aperture to F11 and/or increase your shutter speed to 1/1000s or faster. This will decrease the light entering the camera and help freeze the water to capture stunning sun rays. The release of the RX100 VI presents new and exciting opportunities for the compact underwater photographer in an ever-developing field. Its super macro capability is unparalleled in the macro world, especially when paired with wet macro lenses. Accordingly, improved autofocus makes shooting macro a breeze. And when this AF is paired with the RX100 VI’s burst mode, the camera becomes a formidable tool for quick-action pelagic photography. To top it off, the enhanced 4K video capability is enticing for super-macro video shooters and photographers looking to expand their artform into the real of video. Underwater review of the Sony RX100 VI with recommended lenses, housings and settings.